A colleague of mine wrote a few lines of code which simulate a longitudinal x-ray scan of a periodic heterostructure in the kinematical approximation. Gaussian fluctuations in the vertical position of the layers are explicitely included. Since MadMax doesn't offer this possibility, I got very interested in this little simulation. For such a small task, Fortran is perhaps not the ideal choice, and I thus decided to "port" the code to Python. What I initially didn't understand was the "clumsy" way to define the thicknesses. If t2 = nat2*a2, and nat2 = 14/a with a = a2, then t2 = 14. Right? It is, by the way, only natural to have an integer n, since crystals grow in discrete atomic layers, and not in arbitrarily small increments. Being a physicist, I should have seen that right away. What a shame. PS: Oh ja, the performance. With Fortran, you change the parameters, save, compile, and excute the program. 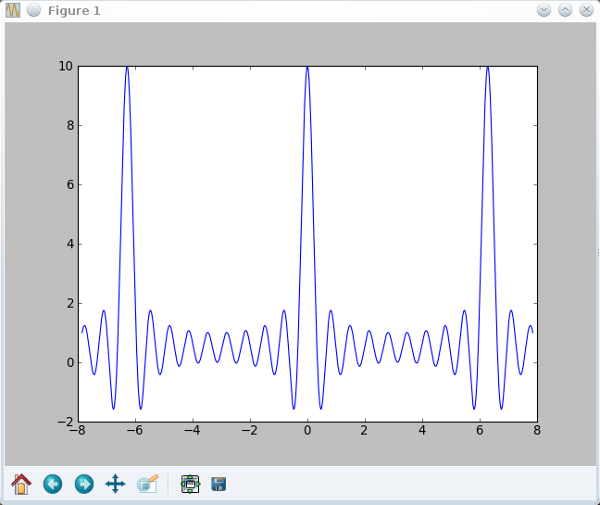 Then you gnuplot the result. 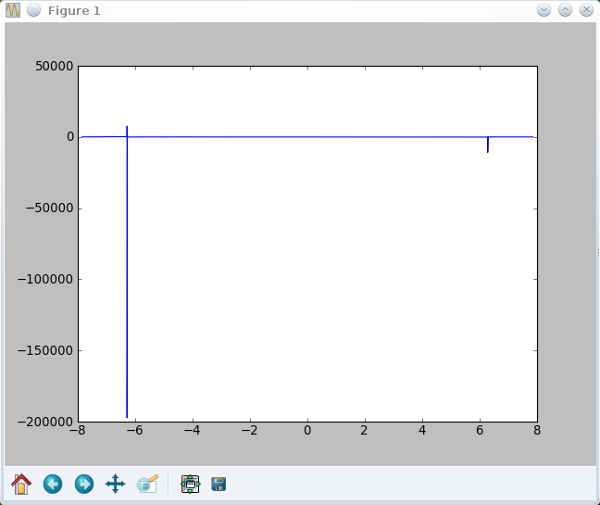 With Python, you change the parameters, save, and excute the program which plots the results. Well, what do you think?